What is a Protection Order in Etowah County? whom the victim has a dating relationship, or a current or former household member. “A household member is a person maintaining or having maintained a living arrangement with the defendant where he or she is in, or was engaged in, a romantic or sexual relationship”. Call 256-547-1005 or fill out our online inquiry form and schedule a free consultation. We can explain all the legal options available to you, enabling you to make an informed decision as to how to handle your case. You're in charge. You decide. But don't take our word for it. Read the testimonials from our satisfied clients throughout Alabama on our Facebook Page and our Google Reviews. Case results matter here. Who is covered by a Protection Order in Etowah County? Persons covered by a Protection Order include the victim, minor children of the victim, and designated household or family members. These individuals will be referred to as "the victim" throughout this site. The alleged abuser will be referred to as "the defendant". If the victim lives in Alabama, or even if he or she has just moved here, he or she can petition the court for a Protection Order. A Protection Order is effective throughout the State as well as in other states. It is effective for one year, unless the judge specifies a longer or shorter time period. Also, any Protection Order issued by the court of another state shall be enforced as if it were an order of this state. Generally, protection orders may be issued only if there have been one or more recent acts of abuse or threatened abuse. A judge may dismiss your petition if you claim that the abuse or threat occurred many months ago, or if you only think that something might happen in the future. Prohibit the defendant from selling, disposing, destroying, hiding, or mortgaging mutually owned or leased real estate or personal property. Order other relief as necessary to provide for the safety and protection of the victim, minor children and other designated family or household members. Order specific child visitation for the defendant, which may include supervised visitation in the presence of a third party or withholding visitation completely, if necessary. Order the defendant to pay child support for children the defendant has a legal obligation to support. It may not fix the problem. Although a Protection Order can be an important tool in helping the police and courts to discourage abuse, IT MAY NOT COMPLETELY STOP THE DEFENDANT FROM TRYING TO HURT THE VICTIM. The Protection Order can result in the appropriate punishment of the person against whom the order was issued if he or she violates that order. It is not a decree of divorce, but the victim should be prepared to live apart from the abuse, at least for a time. If the victim is unsure about taking this action, he or she may wish to consult an attorney, domestic violence shelter (Harbor Haus -(256-734-6100), trusted friend, or a family member before filing a Petition. While the judge may allow the victim to use or possess certain property, a Protection Order cannot be used to make permanent property divisions. It is not to be used solely for custody matters, although the judge may determine and award temporary custody. It should not be used to "scare" someone to improve his or her behavior. If a petition is filed, the plaintiff should be prepared to proceed in court. Where can I get a Protection Order in Gadsden & Etowah County? Protection From Abuse “FORMS” may be obtained at the Circuit Clerk's Office, Etowah County Courthouse, going to the Etowah County Sheriff's Office, or by going to www.alacourt.gov and clicking on e-forms, civil form C-02. The plaintiff must ask the court for a Protection Order either in the county where the victim lives or in the county where the victim has temporarily relocated to avoid further abuse. A Protection Order may be issued even if the victim does not have an ongoing court case against the defendant or the defendant does not have pending criminal charges arising from the abuse in the county where the victim lived. If there is a pending case, then the plaintiff must file for protection in the county in which the case is pending. It is recommended that the plaintiff file in the county in which the victim resides, if possible. How can I ask the Court for a Protection Order in Gadsden and Etowah County? Standard court forms must be filed with the clerk to ask for a Protection Order. These forms are available in the clerk's office in each county courthouse. Neither the clerk nor members of a judge's staff are required to provide assistance in completing the forms. They are not permitted to give legal advice. An attorney should be sought for assistance. It may be difficult for the plaintiff to provide written details of the abuse the victim has suffered, but it is important to answer the questions in the Petition and to provide as much detail as possible. If the defendant owns a firearm or other weapon and has threatened to use it to harm the victim, the court should be made aware of this fact. Additional paper may be used to complete the deposition. The completed Petition and Deposition should be taken to the clerk's office. The judge may or may not issue a Protection Order and set a date for a hearing. If any temporary orders are signed by the judge, they are good only until the final hearing unless otherwise extended by the judge. They are not permanent orders! Is there a charge for a Protection Order? not limited to, dismissal of the case, being responsible for court costs, or loss of child custody. If the Plaintiff cannot attend the hearing, a written notice must be submitted to the Clerk’s office prior to the hearing date. Only the court may dismiss the case. The defendant may appear and be represented by an attorney. If the plaintiff does not have an attorney, the plaintiff should be prepared to proceed with the case without one. Some judges may not delay the hearing to allow time for the plaintiff to hire an attorney. All parties and witnesses should arrive at the courthouse early and make sure they are in the right place. Since other cases may be set for that day, the plaintiff's case may not be called immediately. Should I bring the children? Children should not be brought to the hearing unless they will testify. Since children may be a distraction, it is preferable to find someone to keep them, or, if necessary, the plaintiff should bring a friend or family member to court that can help watch them. Any person who witnessed the abuse may be called to testify at the hearing. If the witness agrees to come, it is not necessary for the court to issue a subpoena (an order by the court to appear and testify). If a witness will not come voluntarily, the plaintiff may ask the clerk how to subpoena the witness. If the defendant requests custody, witnesses may be needed to testify regarding the defendant, victim and children and provide information that will help the court to make its decision. For this reason, the plaintiff may wish to contact an attorney for assistance. In any case, the law allows the victim to bring a friend or family member to court for support. Evidence that the plaintiff may wish the court to consider, including pictures, witnesses, police reports, hospital records, expenses incurred as a result of the abuse, etc., may be brought to the hearing. The victim may be the most important witness and what he or she tells the judge is very important to the court's decision. Also, the court may need additional information, such as current pay stubs of the defendant and victim, a list of furniture, or other personal property in the defendant's possession. Will I see the defendant? The defendant will probably be in court and may be waiting in the same general area. If the plaintiff/victim does not feel safe, or if anyone tries to interfere with him or her while waiting for the hearing, the plaintiff should bring this matter to the attention of the judge's staff, law enforcement officer, bailiff, or someone who works in the courthouse. Once notified, the court staff may be able to find another waiting area until the hearing begins. Should I talk to the defendant? The plaintiff/victim is not required to talk to or sit with the defendant unless instructed by the judge. If the plaintiff/victim is afraid or uncomfortable, the judge should be informed of this fact. Because of the stress of the situation, it may not be a good time to communicate effectively without the court's involvement. Yes. The defendant or the defendant's attorney can ask the plaintiff and witnesses questions. The plaintiff or the plaintiff's attorney can ask the defendant or the defendant's witness’s questions. Statements and answers to questions asked of witnesses in the hearing should be made loudly and clearly and are always made to the judge. The judge may allow notes, photos, or other evidence to be used to help witnesses recall specific details. All questions should be answered truthfully. If a witness does not know an answer, he or she should say so. If an incorrect answer is mistakenly given, it can later be corrected. Persons involved in the case should always remain calm and never argue with or show disrespect for the judge, any attorney, or the other party. Witnesses may say things that are not true or are intentionally upsetting. The plaintiff can ask to testify again to clear up anything that was said. When will I learn how the judge ruled? The judge may not make a ruling in court but may issue a decision later. Before leaving the courthouse, the plaintiff should ensure that the court has a current address so that a copy of the decision can be mailed to the plaintiff. The victim may request that the address be kept confidential by the court. The plaintiff will receive a copy of the court's order for protection, as will the defendant and law enforcement officials in your county. The plaintiff may wish to follow up with the local police and sheriff's departments to ensure that they have a copy of the order on file. If not, the plaintiff should request that a copy be sent to them or should provide them a copy. It is very important that the victim keep this order with him or her at all times. Copies should be provided to every place listed on the order, including the children's school, the victim's place of employment, etc. The plaintiff/victim should take responsibility for being sure this is done. 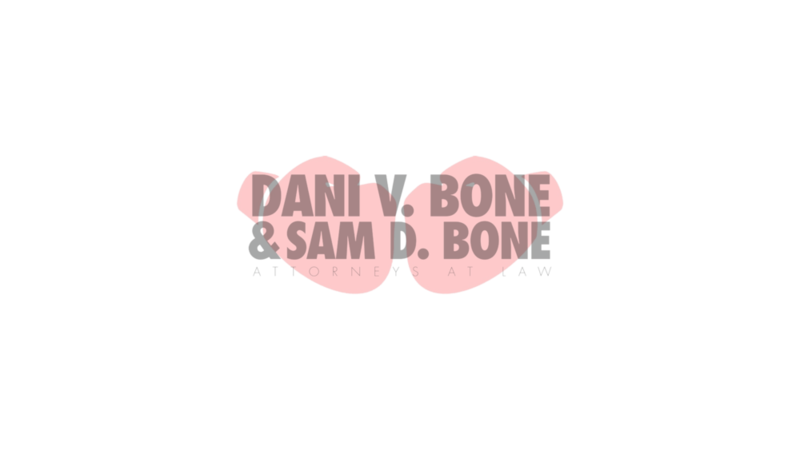 What happens if the defendant violates the Protection Order in Gadsden or Etowah County? The protection order cannot be enforced until the defendant is served. Violations of a Protection Order may be punished as contempt of court and may be charged as a Class A misdemeanor for which the abuser may be arrested with, or without, a warrant. If the judge in a case finds that a defendant violated a Protection Order, the first violation is a Class A misdemeanor punishable by up to a year in jail and a fine of up to $2,000.00. A finding of a second violation of a protection order requires, in addition to any fine and sentence imposed, a minimum of 48 hours in jail. On a finding of a third violation, the defendant must spend 30 days in jail. Required jail time cannot be suspended. A law enforcement officer may arrest the violator of a protection order without a warrant at any time of the day or night when the officer has probable cause to believe that an act has been committed in violation of a valid protection order, even if the officer did not personally see the violation. The plaintiff may also request that a warrant be issued against the defendant by a judge or magistrate for violation of the protection order in either the district court of the county where the offense occurred or in the municipal court, if within municipal police jurisdiction. Where can I go to get additional help? Although a Protection Order can be an important tool in helping the police and the courts discourage incidences of domestic violence, it is a judicial order recorded on a piece of paper and not a shield which will stop bullets, knives, or fists. Often, when a defendant first gets a copy of the Protection Order, he or she may seek to increase the pressure, threats, and violence. It may therefore be necessary for the victim to seek shelter and safety immediately and call the police. Local domestic violence shelters (Harbor Haus 256-734-6100) are available to offer assistance, especially in developing a safety plan for the victim and children and in planning to leave a violent relationship, if necessary. assistance needed to establish the groundwork for providing a stable and nonviolent environment. For immediate, 24-hour access tonthe shelter program in your area, call the following number: 1-800-650-6522. Older PostHow to change your name in Etowah County?